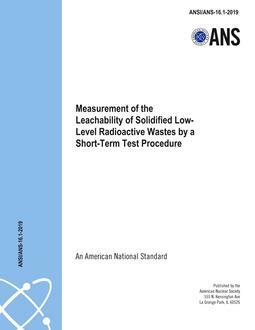 This standard provides guidance and specifies criteria for determining the moderator termperature coefficient (MTC) in water moderated power reactors. Measurement of the isothermal temperature coefficient of reactivity (ITC) at hot zero power (HZP) conditions is covered in ANSI/ANS-19.6.1-1997, Reload Startup Physics Tests for Pressurized Water Reactors. This standard therefore addresses the calculation of the ITC at HZP and the calculation and measurement of the MTC at power. 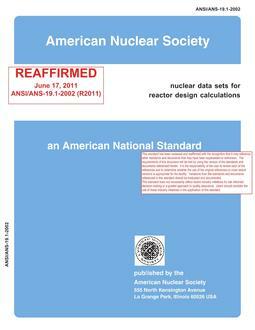 At present, this standard addresses the calculation and measurement of the MTC only in pressurized water reactors because that is the only type of power reactor currently sited in the United States for which measurement of the MTC is required.